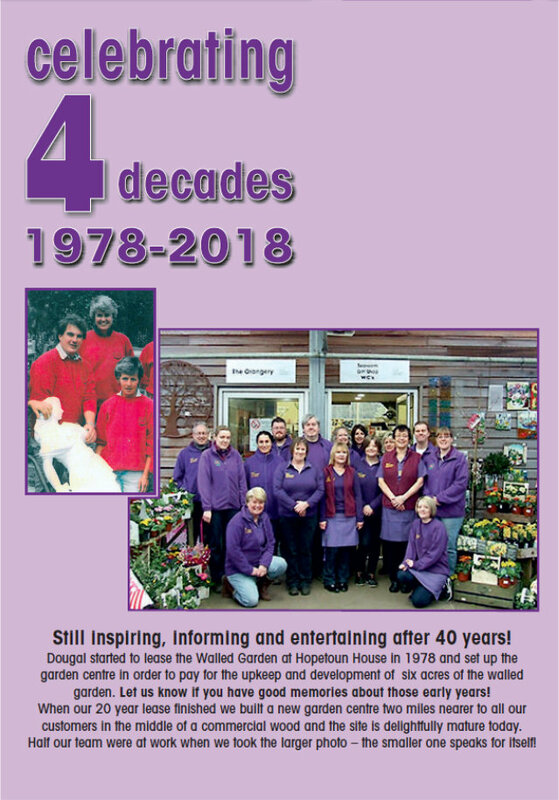 In 2018 we celebrated four decades of running our garden centre! The first two decades in the Walled Garden of Hopetoun House and the last twenty years here at New Hopetoun Gardens. Tansy the cat managed the transition but her role is now taken by Basil at 20 years old! 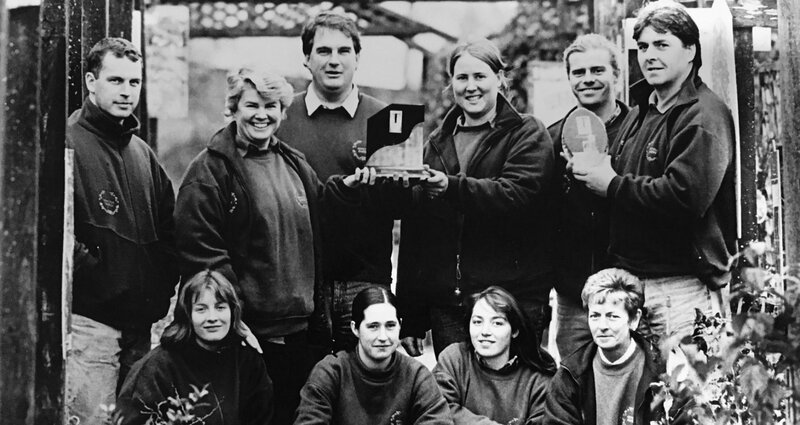 Only six of us now worked in the Walled Garden – Dougal, Lesley, Jane, Graham, Tim and Katrina – though many of our dedicated team have worked hard with us for many years in the new location. Of course we wouldn't be where we are today without the loyal support of our ever-growing band of customers (old & new) , and we do hope as many of you as possible can join us and help us celebrate as we mark our 40th Anniversary with a number of special events and talks. Still inspiring, informing and entertaining after 40 years! 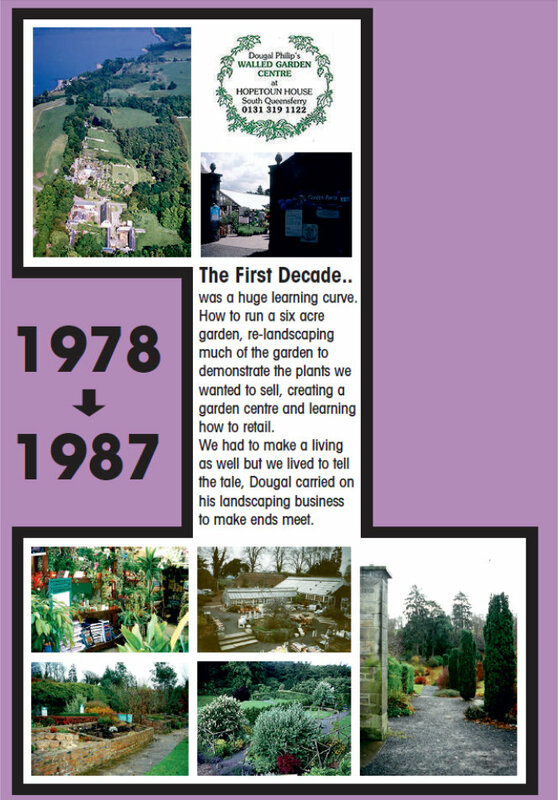 Dougal started to lease the Walled Garden at Hopetoun House in 1978, and set up the garden centre in order to pay for the upkeep and development of six acres of the Walled Garden. Do let us know if you have any good memories of those early years! When our 20 year lease finished we built a new garden centre 2 miles nearer to our customers in the middle of a commercial wood, and the site is delightfully mature today. Half our team were busy working when we took the larger photo - the smaller inset photo speaks for itself! The first 10 years were a huge learning curve. How to run a six acre garden... re-landscaping much of the garden to demonstrate the plants we wanted to offer... creating an amazing Garden Centre... and learning all about retail. 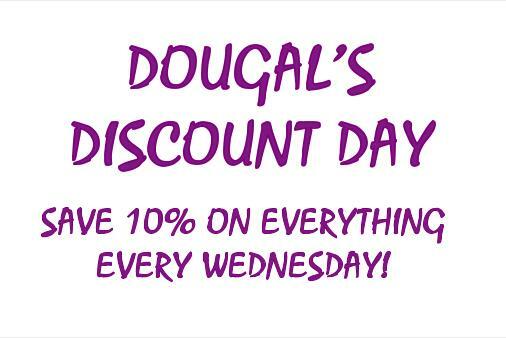 Of course we had to make a living throughout, so Dougal kept his landscaping business going to help make ends meet.